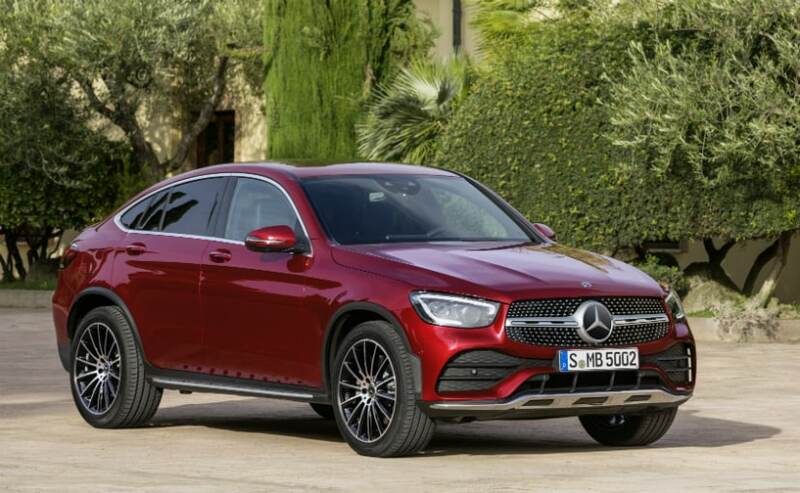 Barely weeks after the global reveal of the new GLC at the 2019 Geneva Motor Show, Mercedes-Benz has now taken the wraps of the 2020 GLC Coupe facelift. The good news is that it will be coming to India as well. 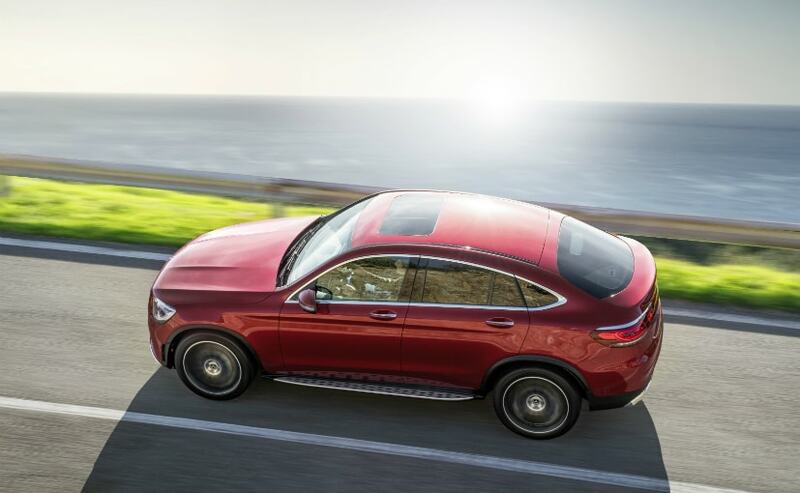 The 2020 Mercedes-Benz GLC was revealed barely a couple of weeks ago at the 2019 Geneva Motor Show and now, the 2020 Mercedes-Benz GLC Coupe facelift too has been revealed. The updates to the looks and design are in line with the exterior design of the new GLC. The front end is similar to that of the new GLC, with revised bumper, re-designed headlamp cluster with new LED lamps and a slightly restyled diamond radiator grille as well. 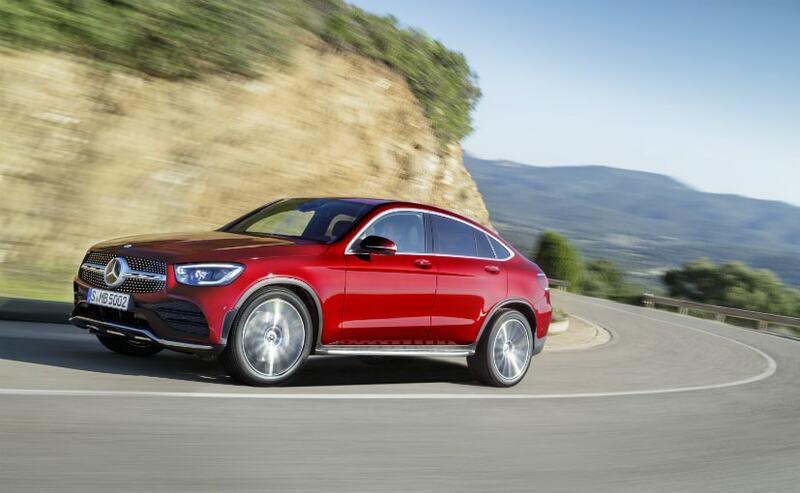 Till the A-pillar, the new GLC and the GLC Coupe look more or less the same. It is after the A-pillar that the coupe SUV, takes a distinct silhouette, thanks to a sloping roofline. The stance is sporty and aggressive. The rear is characterised by a new moulded diffuser, angular exhaust tips and re-designed LED tail lamps. The cabin too gets an update. Mercedes-Benz will be offering two options for multi-function steering wheel with controls for active distance assist and instrument console along with the infotainment and sound. The other updates are the 12.3-inch instrument console and a 10.25-inch touchscreen infotainment system. In addition to this, the new GLC Coupe also gets the latest generation of the MBUX Mercedes-Benz User Experience infotainment system. The car gets state-of-the-art driving assistance systems such as exit-warning function, emergency-corridor function and tail-end-of-traffic-jam function, among others. New features include Trailer Manoeuvring Assist, which provides assistance when manoeuvring in reverse. And of course, there is a 360 degree camera as well. As far as engine options are concerned, the 2020 Mercedes GLC Coupe gets 2 petrol engine options and 3 diesel engine options. The 200 4MATIC makes 197 bhp and 320 Nm while the 300 4MATIC makes 258 bhp and 370 Nm of peak torque. The diesel engine line-up consists of three options with power output ranging from 163 bhp and going up to 245 bhp. The torque output ranges from 360 Nm to 500 Nm. We expect India to get the AMG variant as well. The petrol engines are electrified by the integration of a 48-volt on-board electrical system (EQ Boost). The belt-driven starter-generator is responsible for hybrid functions such as boost or energy recuperation and allowing fuel savings as well.